I asked Laura Toplis to provide some information on business continuity as a guest blog. 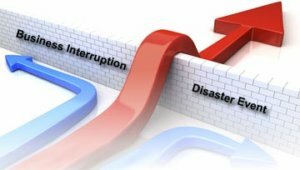 A Business Continuity Plan is common sense – it is about recording what you and your staff would do to keep your business going in the event of a disruption. You already know what to do, because if your business was interrupted right now you would start implementing different things to try and save it. The point of a Business Continuity Plan is to record these ideas in advance, when you are not in the heat of the moment. It has been proven in many studies that people are bad decision makers when under stress. Take the time to think about what you would need to do in a crisis, discuss it with your staff and management and record the best ideas from everybody. 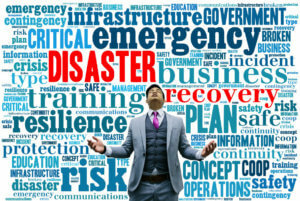 Why do you need a Business Continuity Plan? Having a robust Business Continuity Plan can be considered insurance for the uninsurable parts of your business. Things that you can’t insure against are market-share, customer confidence and reputation. When considering disasters that could disrupt your business you may think of terrorism or fire. There are so many variations and thinking through all these scenarios can be quite overwhelming. The good news is that it doesn’t matter! 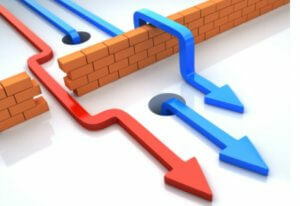 When it comes to Business Continuity it’s important to focus on the effect of any disruption rather than the cause. The goal is to effectively deal with any negative incidents and impacts that could affect your business. Whether it is a creeping crisis or the big bang – you need to be flexible enough to deal with both. The probability that a disruption will strike a particular location at a particular time is very small. However, the likelihood that some crisis will happen some place at some time is significant. Having a plan in place means you will recover faster following a disruption, because the event will have less impact on your business. If your business wasn’t badly impacted (particularly if others were), you will gain increased customer confidence. What does a good Business Continuity Plan look like? There are many elements to a good Business Continuity Plan and these are outlined in the Business Continuity Institute Good Practice Guidelines and ISO 22301:2012. For somebody who is not making a career in Business Continuity Management, and simply wants to prepare a Business Continuity Plan – reading those two documents and taking a training course to properly understand them is excessive. What you need is a template that you can be confident in. BCP Builder has created Business Continuity Planning Templates that any Small or Medium Business can follow.. The templates adhere to the above standards and can be filled out like a form. You can save your changes, edit different sections and update your plan over time. Your plan should be a living document that is incrementally updated after each small incident. In this way – when a big incident occurs you can fall back on months or years’ worth of learning to get you through. You can also save a PDF version of your plan to share, which will include your Company Logo and hyper-links to all the different sections. Can this template be used for Events? Absolutely – I have run multiple events and understand the importance of keeping all the key supplier and client information in one place. The template is adaptable, and the Incident Response Procedures section can be used to record instructions for organizing and running the event, or how to manage the different risks that are likely to occur. Laura Toplis is the Business Continuity Coordinator for the New Zealand Ambulance Service and has recently developed a new product called BCP Builder – which is an Online Business Continuity Plan Template. This allows businesses to easily prepare an ISO 22301:2012 compliant Business Continuity Plan. BCP Builder can help Small Businesses quickly design and build their own unique Business Continuity Plan to be better prepared when disaster strikes, respond rapidly and recover confidently. Dean Robertson Guest Post #3: THEY DON’T LIKE MY NOVEL? ?